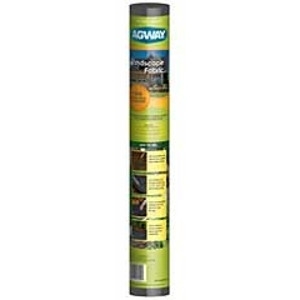 Agway Landscape Fabric 3 ft. x 50 Ft. Economical landscape fabric. Packaged with special Agway labeling. 3ft x 50ft roll. Quality spun bonded polypropylene construction. Easy to use. Stops weeds. Use around vegetables, flower beds, shrubbery and trees for a chemical-free week control. Guaranteed to last 5 years. 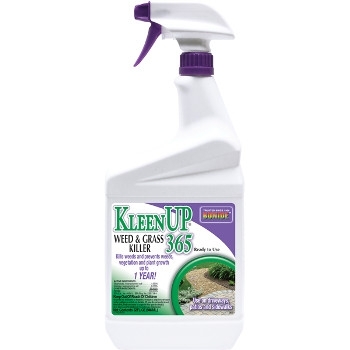 KleenUp® 365 Grass & Weed Killer RTU, 32 oz. Imazapyr 0.018% + Glyphosate 1.020% Kills existing weeds and grasses, and prevents new growth for up to 1 year (365days). 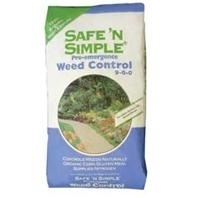 Prevents weeds in driveways. Great for foundations, fences, curbs, sidewalks, patios, gravel……. 1 gallon treats 60 sq. ft. or a 6" band - 1440' long. Visible results in 10 hours. 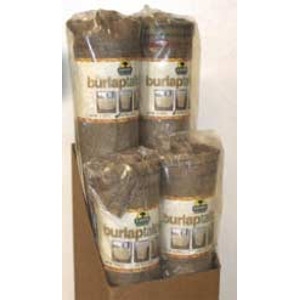 Eaton Burlap Tall Pack, 72 in x 50 ft.
First quality, medium-weave 7 oz. burlap, selvaged both sides. Same uses as our original Burlap Pac, except wider and taller for those larger uses. Convenient for taller shrubs and brushes. Step 1 of 4 easy steps to a great lawn. 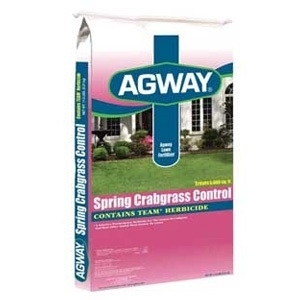 It's applied in early spring (February - April) and prevents crabgrass, foxtail, spurge, oxalis, and other annual weeds while providing a deep, thick greening. Organic Weed Preventer, 25 lbs. Espoma Organic Weed Preventer helps prevent unsightly weeds from popping up in your lawn while it nourishes the grass so that it becomes more resistant to heat, drought and other stress. And because the product is all natural, it is safe for your family, your pets, and the environment. 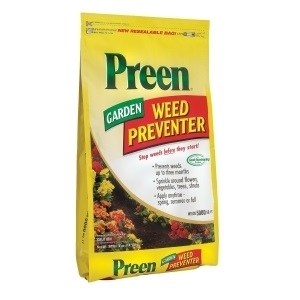 Preen Garden Weed Preventer, 16lbs. Stop weeds before they start with Preen Garden Weed Preventer. Sprinkle around flowers, vegetables, trees and shrubs to prevent weeds from germinating. Preen will not kill existing weeds. It will prevent new weeds from sprouting, eliminating the need for difficult and time-consuming hand-weeding. Use Preen during the growing season to prevent weeds from coming back for up to 3 months. 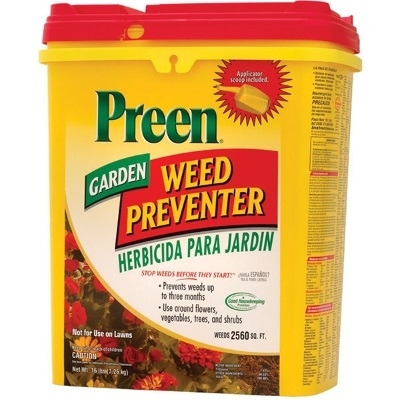 Preen Garden Weed Preventer 31.3lbs. Stop weeds before they start with Preen Garden Weed Preventer. 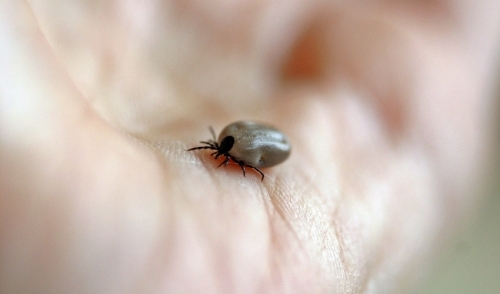 Sprinkle around flowers, vegetables, trees and shrubs to prevent weeds from germinating. Use Preen during the growing season to prevent weeds from coming back for up to 3 months. 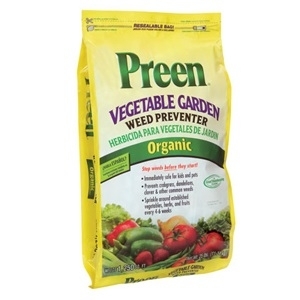 Preen Organic Vegetable Garden Weed Preventer, 25 lbs. 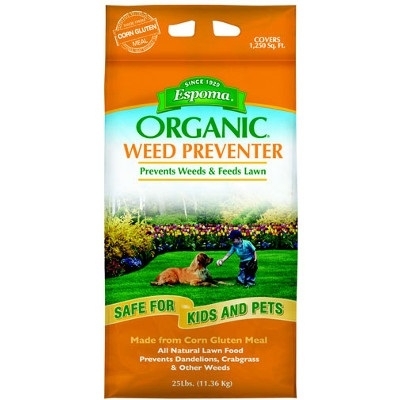 Preen Organic Vegetable Garden Weed Preventer is an organic formula that will your vegetable garden weed free without harsh chemicals. Preen is formulated to control clover, bluegrass, crabgrass, foxtail, lambsquarters, plantain and other tough weeds. Because it's 100% organic, you don't have to worry, children and pets can play in the area immediately after application. Containing fast acting ingredients, Roundup Weed and Grass Killer Concentrate Plus delivers superior weed control, providing visible results in just 12 hours. Roundup kills the toughest weeds and grasses down to the roots and is rainproof in only 30 minutes. Ideal for use around fences, trees, driveways and flowerbeds. 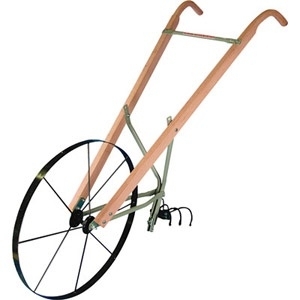 Use this classic EarthWay Kentucky-Style High Wheel Cultivator for weeding and loosening soil with a 5-tine cultivator head, a moldboard plow and a twin-end furrow plow. The oak handles adjust to 4 different positions for hours of comfortable use. U.S.A. 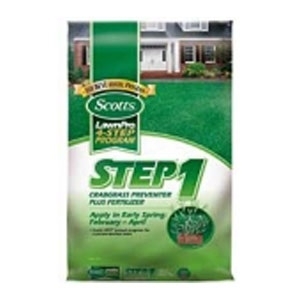 Lawn Pro Step One 5000 Sq. Ft. 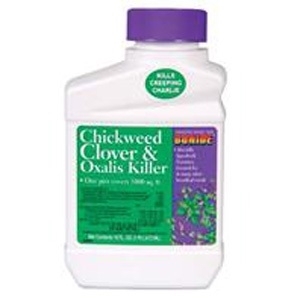 Kills chickweed, clover, oxalis, plantain, speedwell, canadian thistle, ground ivy, dandelion and many others. One pint covers 5, 000 square feet. Mix 3.2 ounces of concentrate to 1 gallon of water to treat 1000 square feet. 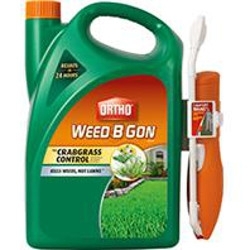 Kills over 225 weeds, including: Barnyardgrass, Broadleaf Signalgrass, Bur Clover, Carpetweeds, Chickweeds, Creeping Charlie, Cudweed, Curly Dock, Dandelion, English Daisy, False Dandelion, Field Bindweed, Filaree, Florida Pusley, Heartleaf Drymary, Henbit, Junglerice, Kikuyugrass*, Large Crabgrass, Oxalis, Pennywort, Plantains, Purslane, Red Sorrel, Sheep Sorrel, Smooth Crabgrass, Giant Foxtail, Green Foxtail, Yellow Foxtail, Torpedograss*, Speedwell, Spurges, Spurweed, Thistles, Toadflax, White Clover, Wild Carrot, Wild Geranium, Wild Onion, and other broadleaf weeds. Kills over 250 listed weeds using the most effective Trimec Ester, while feeding your lawn for up to 12 weeks. Contains GreenSmart which helps lawns retain water to protect against heat &amp; drought and speeds root growth to improve nutrient absorption with microbial activity. Uses the top slow-releasing Nitrogen, MESA. 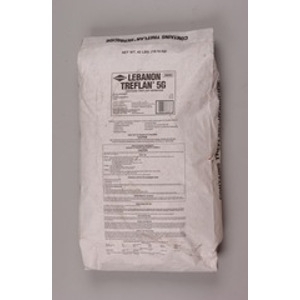 Lebanon Treflan Herbicide, 40 lbs. Treflan is a versatile pre-emergent herbicide that can prevent the germination and growth of a wide variety of weeds in and around labeled tolerant plant material. Treflan prevents most annual grassy weeds. Treflan is also labeled for control of some broadleaf weeds. Treflan can be used for many sites in residential, commercial, and industrial landscapes. Weed prevention in and around ornamentals, flower gardens, and other mulched areas are typical landscape applications. Tough, fast acting water-based formula of systemic 1.92 percent Glyphosate plus 0.12 percent Blazer. Kills all green plants, roots and all. 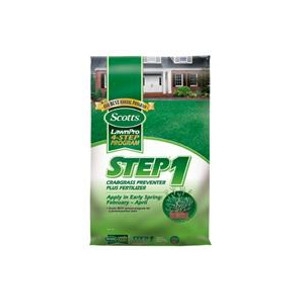 Use around walks, driveways, flower beds, shrubs and trees. Treats 5,000 square feet. 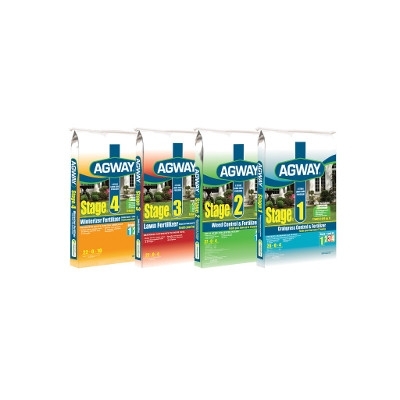 Agway's 4 Stage Lawn Program makes it easier to have a lush, green lawn. Our 4 simple applications eliminate the guesswork and give you professional lawn care results. Each stage combines just the right amount of fertilizer with the right amount of control and prevention. Just match each stage to the correct season & you'll prevent crabgrass, control weeks and prepare your lawn for winter. It's what your lawn needs for strong growth! 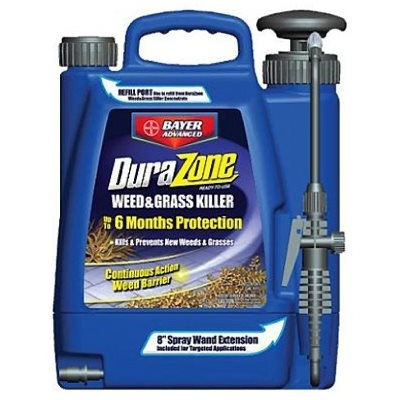 DuraZone Weed & Grass Killer, 1.33 gal. One treatment creates a continuous-action weed and grass barrier for up to 6 months. 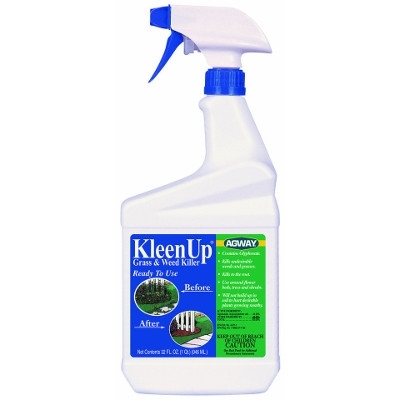 Kills all types of existing weeds and grasses PLUS prevents new weeds and grasses from emerging for up to 6 months. For use on driveways, sidewalks, patios, along fences and foundations, and around walkways and mulched areas. 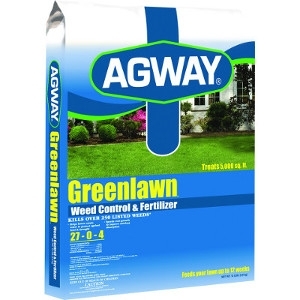 Agway KleenUp Weed & Grass Killer, RTU Qt. 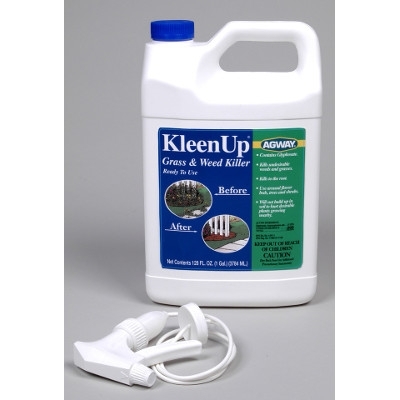 Agway KleenUp Weed & Grass Killer kills undesirable weeds and grasses. 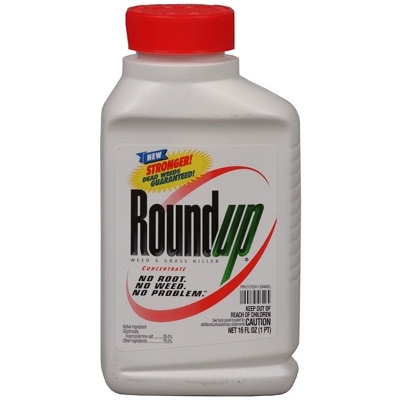 It contains Glyphosate so it kills to the root. It will not build up in your soil or hurt desirable plants growing nearby. 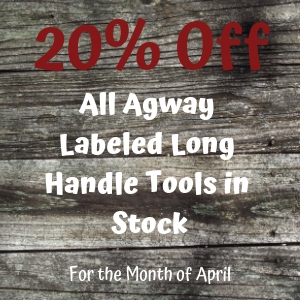 Safe to use around flower beds, trees and shrubs. 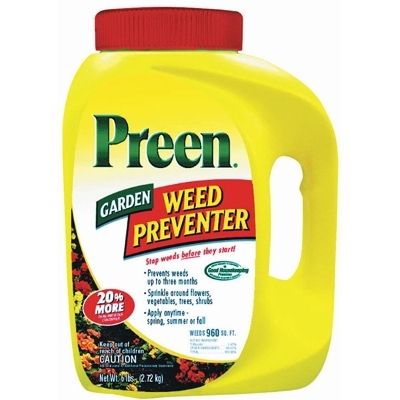 Preen Garden Weed Preventer, 6lbs. 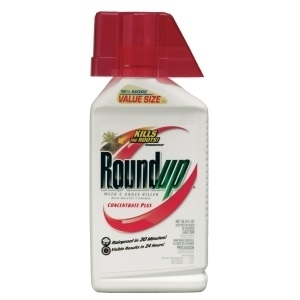 Get results immediately with Roundup Weed & Grass Killer. Ideal for spot applications, this foaming technology lets you see exactly where you have sprayed. Apply anywhere: patios, gardens, sidewalks, driveways and along fence lines. 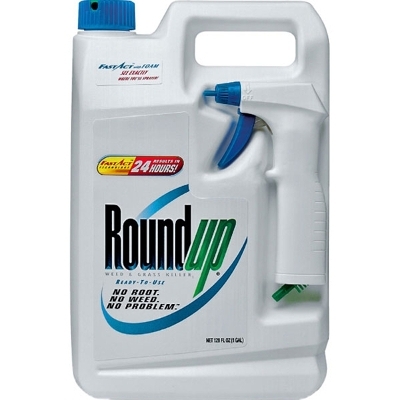 Containing new fast acting technology, Roundup Weed & Grass Killer Concentrate Plus starts working immediately, with visible results in 12 hours. This concentrated formula dilutes to cover big jobs. Ideal for use around fences, trees, driveways and flowerbeds.